These days ordering food online is quite a routine for many people. However, there are few who provide quality fast food within less than an hour and that too at a great price. 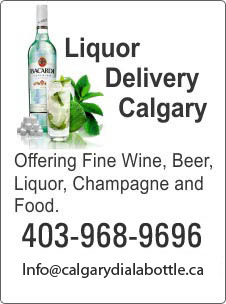 At fast food delivery Calgary, we deliver the delicious fast food all over the city and that too, within an hour. So no matter in which part of the city you are, if you want to order food, we will deliver. We cater to clients for fast food delivery for almost all occasions. We have a wide range of sumptuous fast food items to offer and ensure that you get the order on time. We have enough varieties of fast food that will let you savour your taste buds. Pizzas, burgers, fries, you name it and we have it. We make sure that the food is all fresh and hot when it reaches you. When it comes to quality, we maintain a strict standard and leave no stone unturned to ensure that you get only the best delicacies. We are also very particular about the delivery of orders on time. We have a well trained staff. All the members of our delivery team are well acquainted with the entire city. This ensures that we deliver all the orders on time. Even if you order something from a far flung area or a remote corner of a city, we guarantee that your order will be delivered within an hour. We have a well organised system of delivering food at your doorstep. We also take orders for special occasions like birthdays, anniversary parties, business meetings, corporate events and other celebrations. We value our customers and ensure that they get the full value for their money. If it is a special menu you want for some special occasion, you just need to brief us on your preference. And will see to it that you get your order right. Also, we can help you on which food will go well with what kind of drink. This will certainly make the meal more special and delicious for you. We ensure quality service and you will find our prices better than many other delivery services. Besides, we have options galore and you can order n number of fast food items and also variety of liquor like beer, champagne, wine etc. Whatever is the occasion, all you need to do is give us a call and we will make that occasion more special with our first class service and lip smacking food.